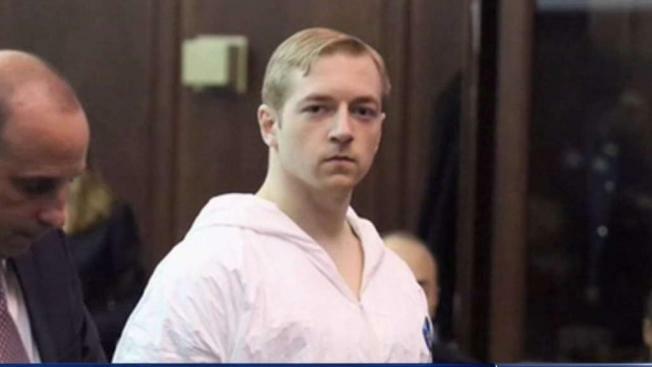 The self-proclaimed white supremacist charged with stabbing a black man to death has pleaded guilty to murder, marking the first-ever conviction of a white supremacist on terrorism charges in NY state. Gus Rosendale reports. The white man accused of stabbing a black man to death in a random sword attack on a Manhattan street nearly two years ago pleaded guilty Wednesday -- and it marks the first-ever conviction of a white supremacist on terrorism charges in New York state history, the district attorney said. James Jackson, who said he was bent on purging the Earth of black people, had been charged with plunging a sword into 66-year-old Timothy Caughman on a Manhattan street in 2017 simply because Caughman was black. Caughman stumbled around bleeding for some time before he collapsed and died. Jackson pleaded guilty to first-degree murder in furtherance of an act of terrorism, second-degree murder as a crime of terrorism, second-degree murder as a hate crime and fourth-degree criminal possession of a weapon, the DA's office said. James Jackson, who said he was bent on purging the Earth of black people, pleaded guilty Wednesday to killing 66-year-old Timothy Caughman on a Manhattan street in 2017. Gus Rosendale reports. He's expected to be sentenced to life in prison without parole on Feb. 13. In a statement after Jackson's plea, Manhattan District Attorney Cyrus Vance Jr. said Jackson's conviction showed that white nationalism "will not be normalized in New York." "This resolution won’t bring back Timothy Caughman, a beloved New Yorker who was executed for being black on a Midtown street corner. It won’t reverse the alarming rise of white nationalism in America," he said. "It is, however, the loudest message that a civil society can send to would-be terrorists, and I thank our prosecutors and the NYPD Detectives whose tireless work enabled us to secure this landmark conviction and send this very loud message today," he added. Caughman's friend Portia Clark on Wednesday told News 4 she was "grateful that [Jackson] pleaded guilty to all the charges." "Then that way, they can just, you know, take him back, and throw the key away," Clark said. Jackson had been expected to plead earlier this month in connection with the crime, but he asked it be briefly put off because he had taken pain medication. In a videotaped confession played at a pretrial hearing in court in the fall, Jackson told investigators blacks were "inferior" and should be "exterminated." 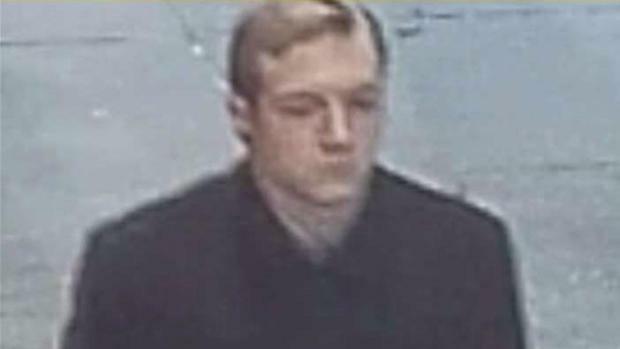 Authorities previously said Jackson admitted killing the Caughman at random as part of a plan to kill black men in New York City. Caughman was stooped over a pile of trash when he was attacked from behind with a sword. Caughman, who was remembered as a gentleman and a good neighbor, was alone and collecting bottles for recycling when he was attacked. He staggered, bleeding, into a police station and later died at a hospital.